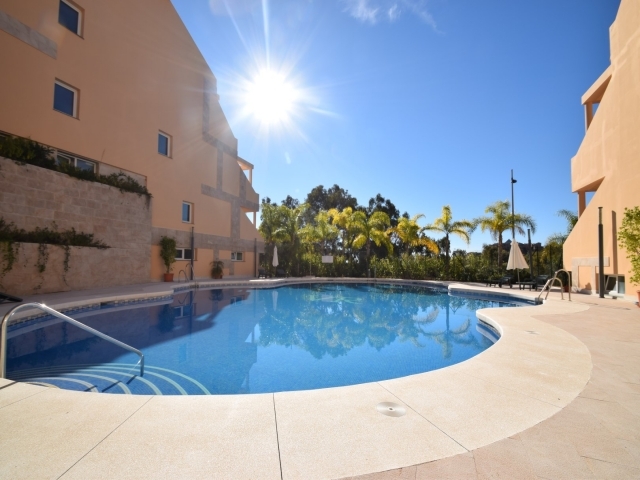 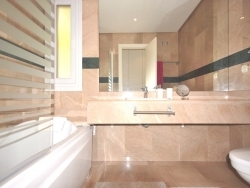 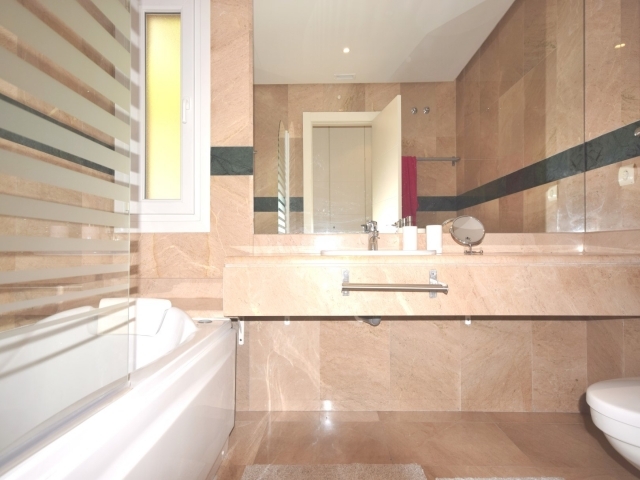 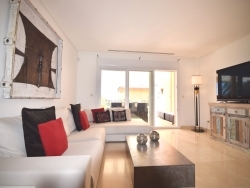 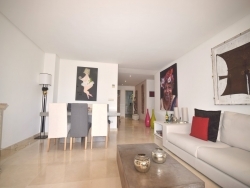 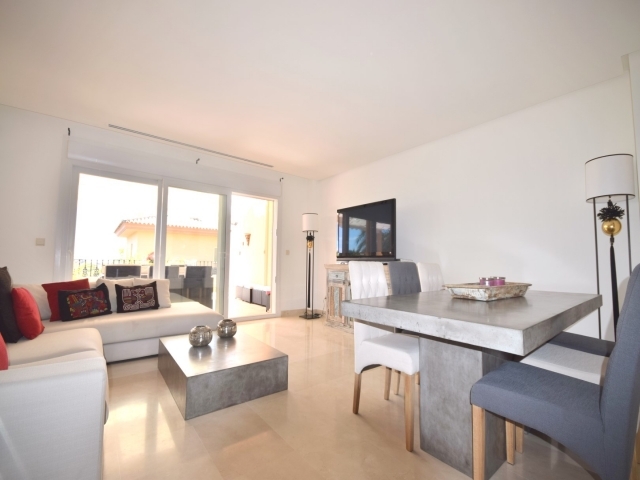 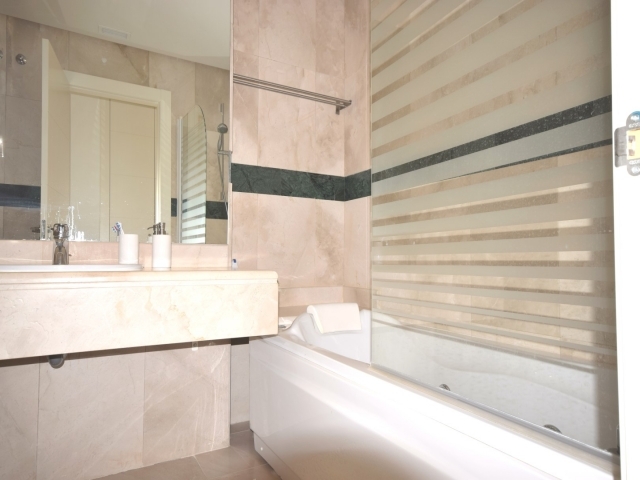 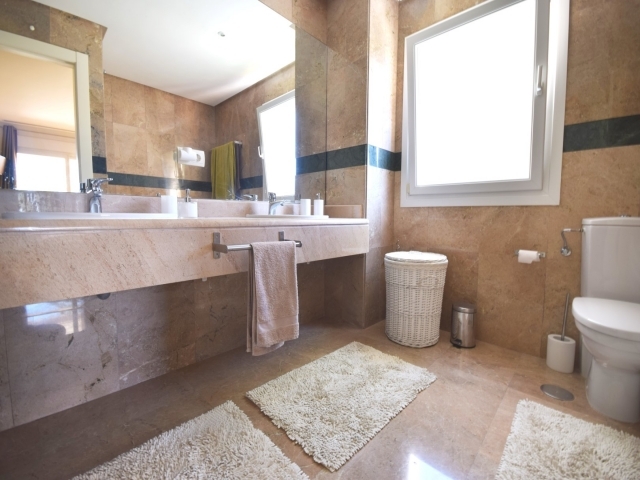 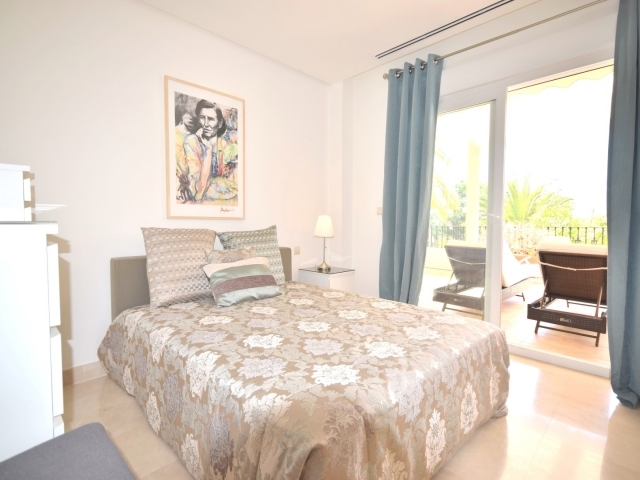 Spacious three bedroom apartment in Vista Real available for holiday rentals. 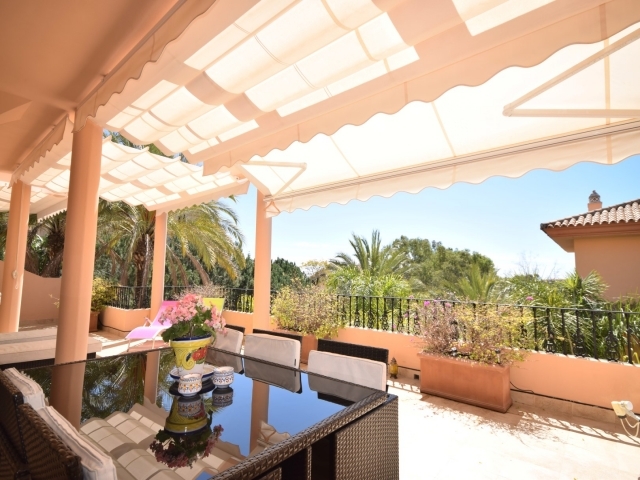 The gated complex is nestled in the hills of the Nueva Andalucía Golf Valley with great views due to its elevated positioning. It is situated close to a range of renowned golf courses and also just a short drive to restaurants, bars and supermarkets; the luxury harbour of Puerto Banús can easily be reached within ten minutes by car, as can the surrounding beaches. The apartment comprises a welcoming entrance hall which leads into a large living and dining room with dining space for six people and a comfortable sofa area with direct access out to the terrace. 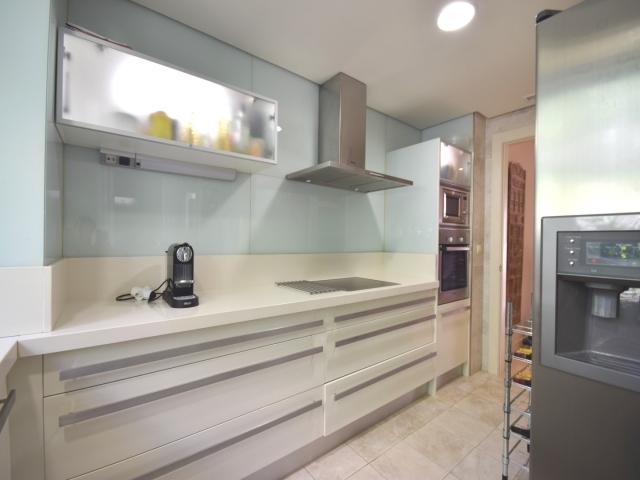 To the right of the entrance is the fully fitted and equipped kitchen. Straight ahead from the entrance you will find the bedrooms: two bedrooms sharing one bathroom and the master bedroom with en-suite bathroom and direct access out to the terrace. 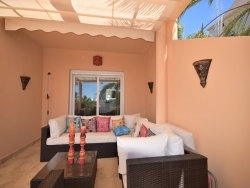 The terrace is a very good size with ample space to chill, dine and sunbathe. 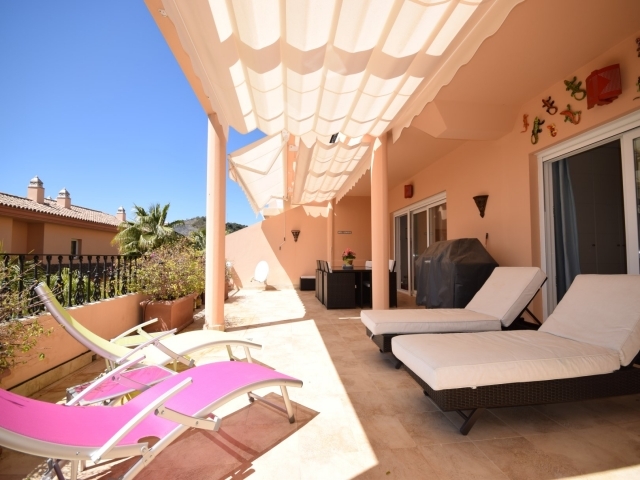 There are four sunbeds as well as a BBQ, dining table for six people and a sofa area.